Swimming Pool De-Humidifiers | Pak Plant Ltd.
Series SBA dehumidifier are expressly designed for use in swimming pools where humidity should be closely controlled in order to guarantee optimal comfort. 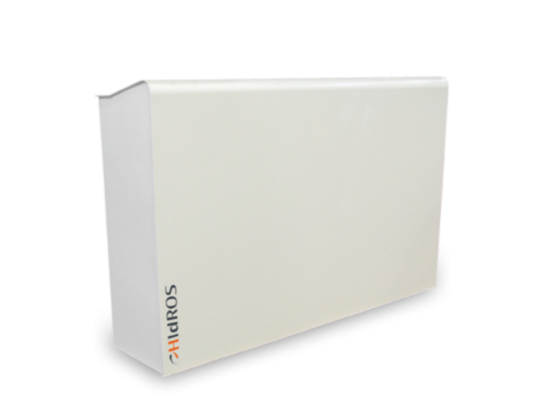 This series comprises five models which cover a capacity range from 50 to 200 l/24h. SBA units are designed for easy maintenance and service, each part being readily accessible and, when required, easily replaceable thus reducing service and maintenance costs. Series SHA dehumidifier are expressly designed for use in swimming pools where humidity should be closely controlled in order to guarantee optimal comfort. These units are intended to be installed in a technical room close to the swimming pool. A centrifugal fan with high available static pressure allows unit connection to ductworks, both for air suction and discharge. This series comprises 5 basic models which cover a capacity range from 50 to 165 l/24h. 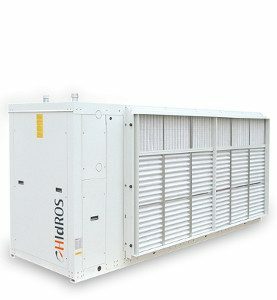 The energy recovery high efﬁciency dehumidifiers UTA range have been designed to grant the complete control of temperature, humidity, the energy recovery and the fresh air treatment in the covered swimming pools or in other applications with very high internal loads. 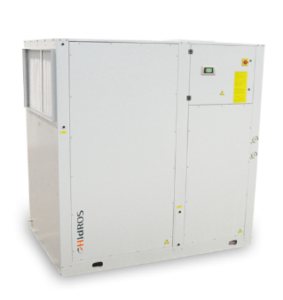 The UTA units can operate in environments up to 36°C and are able to manage up to 30% of fresh air. 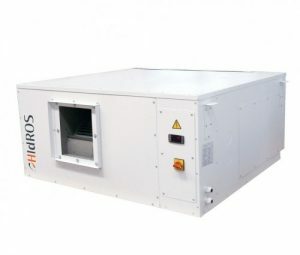 The range includes 7 models, which covers airﬂows range from 1500 to 6000 m3/h. The use of double passage cross flow energy recovery allows to increase up to 30% the dehumidiﬁcation capacity in comparison to the traditional dehumidifiers. The use of the double passage in the energy recovery, in fact, allows the free sensible pre-cooling of the air near to the saturation point, giving so the possibility to the unit to work, basically, in latent load. Series SRH dehumidiﬁer are expressly designed for use in swimming pools where humidity should be closely control-led in order toguarantee optimal comfort. These units are intended to be installed in a technical room close to the swim-ming pool. A centrifugal fan with high available static pres-sure allows unit connection to ductworks, both for air suction and discharge. This series comprises 6 basic models which cover a capacity range from 1150 to 3000 l/24h. All the units are fully assembled and wired at the factory.